Alfa Romeo Giulietta 2.0 JTDM-2 175 Super 5dr TCT 2019 Review | What Car? What Car? will save you at least £1,426, but our approved dealers could save you even more. 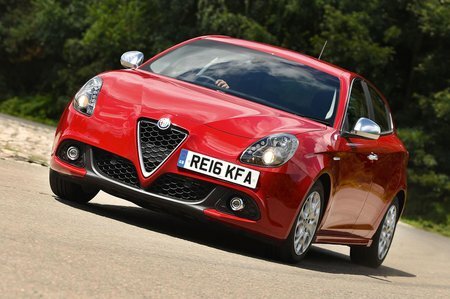 This is the flagship diesel engine for the Giulietta and comes with Alfa’s twin-clutch TCT transmission. It delivers mighty mid-range punch, and there’s not much of a penalty in fuel consumption and CO2 emissions for choosing over the 168bhp manual version. Refinement could be better and the TCT gearbox can be frustrating, however, so it’s our least favourite diesel model in the range.